Loaded with pockets to keep all of your essentials organized, this weekender is simply perfect for every trip. 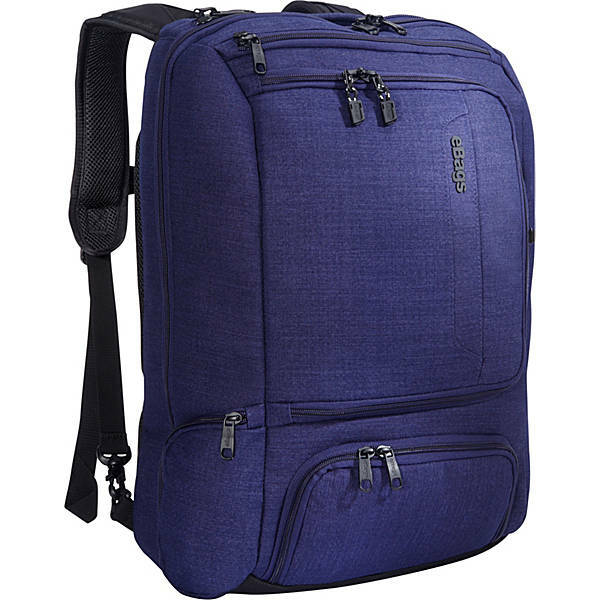 The eBags Professional Weekender is crafted from twisted poly fabric and features a convertible design that can be carried as a backpack, briefcase, or hands-free crossbody bag. With a protective, padded laptop compartment, a clothing compartment to hold overnight essentials, and an organizer to hold all sorts of small accessories, this bag is detailed with unique features such as lockable D-rings and zippers, a side-mounted water bottle pocket, exterior pockets, and a zip around front organizer with multiple mesh pockets and slip pockets. The clothing compartment measures 3-1/2” x 13-1/4” x 20” – it’s designed for 1-2 day trips. This section can be over-stuffed when needed.